Cloudbusters are high flying giant balloons that dot the real estate sky space above your business. They work overtime to make sure your event is visible from several miles away. Made with chloroprene, our giant helium balloons are a durable mix of latex and neoprene. What this means for you is that they are strong, won’t fade easily and they’ll last, even in the hot summer heat. Plus, they attract attention in a big way! 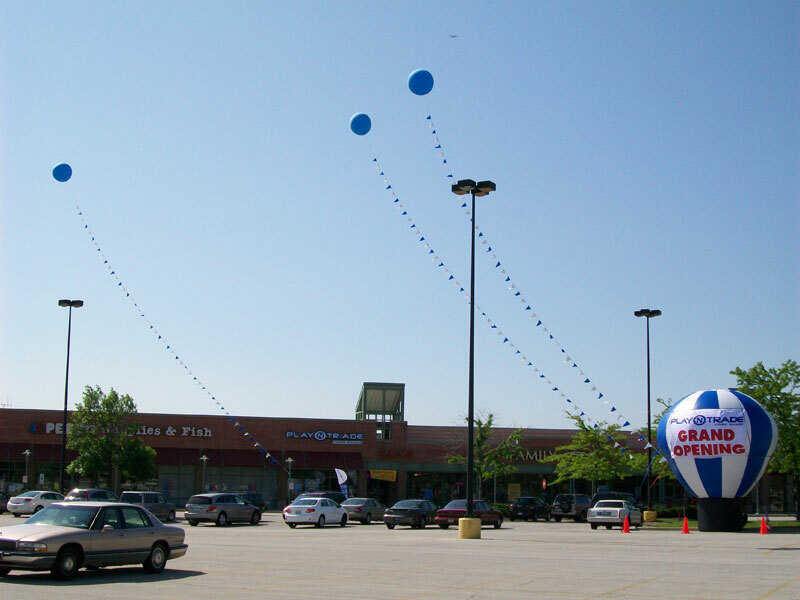 Attached with 100 ft. pennant strings, these giant balloons are just the thing to get you out of the background and into your customers line of vision. Give us a call today to find out how inflatable advertising can bring your San Antonio area location into the spotlight.